The bike must be free of bags or anything other than a water bottle. You want to be able to ride your bike as uninhibited as you would at home — light and free. All gear, including camera equipment, should fit into a 40-litre, low-stance pack. 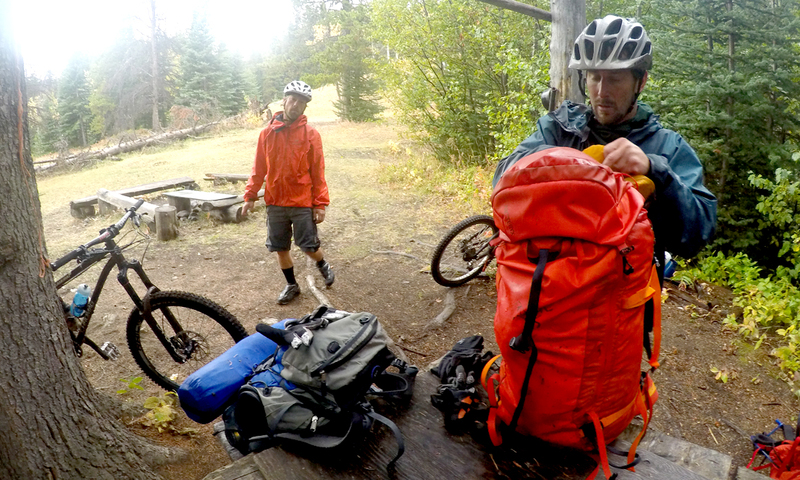 If your pack is tapping on your helmet during a descent it makes for a miserable trip. Bivy sacks, ultralight tents and sleeping pads are your friends. The whole world is your living room, you just need a nylon cocoon big enough to keep the bugs out while you sleep. Homemade, dehydrated chili with minute rice in a medium-sized titanium pot filled to the brim surprisingly feeds four and sustains you in the following days. A spare rear derailleur, a bled brake, a rear air shock, tire and tube patches, duct tape and lots of zap straps can all “save the day” and keep the trip rolling. Versatile and lightweight riding and sleep clothing increase “R-values” which allow for thinner sleeping bags. Durable shoes with thin quick-dry fabric are a must for the multiple creek crossings you will encounter every day. They need to be tough for the hike-a-bikes and comfortable on the pedals. This is one of the toughest things to find! 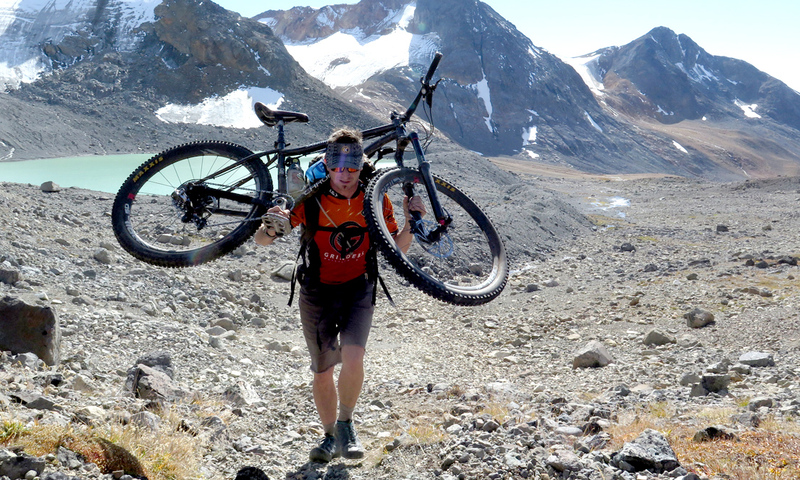 Read more about Maloney’s epic trip through the Chilcotin Range here. Watch video of our multi-day trip into the Chilcotins by air here.